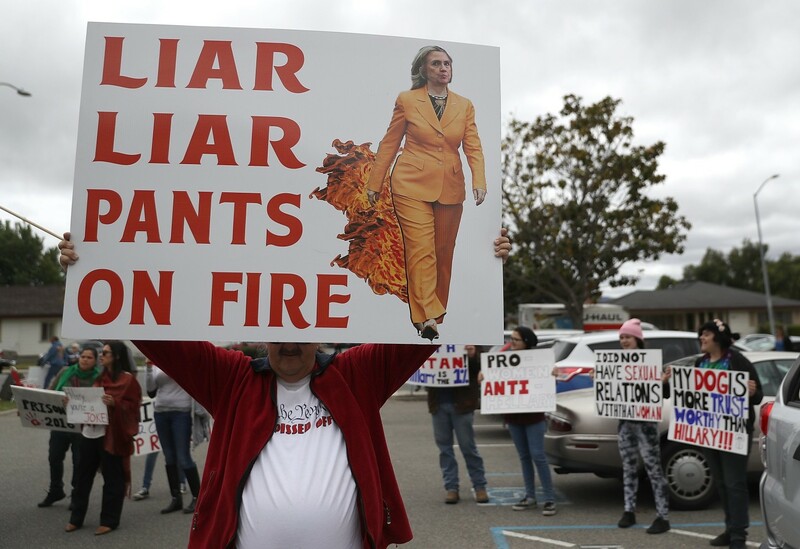 By drbubb, January 12, 2016 in Campaign 2016 threads: "Discernment"
Will her unfavorable rating hit 100% before the election? Chinagate - The Clinton-Gore campaign in 1996 allegedly took bribes from Chinese banks and their government to help their dwindling poll numbers. The Chinese embassy in D.C. helped siphon funds into the DNC. Secretary of Commerce Ron Brown (who was killed in a plane crash), and at Hillary’s instruction reportedly sold seats on department trade missions to China. Joint congressional hearings were canceled after Democrats threatened to bring up Republican campaign issues and then Monica Lewinsky actually saved this scandal from media attention. Oct 28, 2015 - Hillary Clinton Comes Out Against Abolishing The Death Penalty. 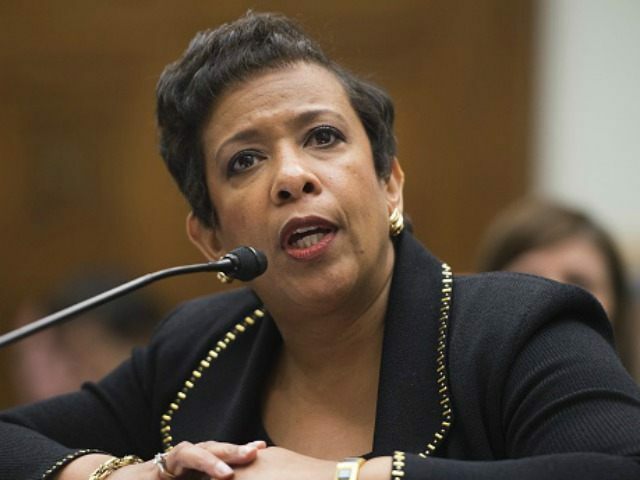 Nov 17, 2015 - in calling for Attorney General Loretta Lynch to appoint an impartial special counsel to investigate Hillary Clinton's email arrangement. There is vitriol of an intense amount developing” in the intelligence community and that FBI agents “are already in the process of gearing themselves to basically revolt if [the Justice Department] refuses to bring charges” against either Hillary Clinton or her former State Department staffers. It was the State Department’s data dump in the wee hours of January 1 that revealed a particularly eyebrow-raising e-mail from Hillary Clinton: In one note in February 2011, she expressed surprise that a State Department employee was using a private e-mail to conduct State business. She wrote this e-mail, seeming to express dissatisfaction at the employee’s use of private e-mail, on her own private e-mail server — through which she sent all her e-mails while secretary of state. The subject of the talking points has been redacted from the e-mail, almost certainly because it involved classified or confidential material. The First Family Detail, an explosive book by author Ron Kessler, reveals how both current and former agents strongly dislike being on Mrs Clinton's detail, while also revealing how they felt about protecting Chelsea Clinton and Bill Clinton. Hillary is exposed as being the complete opposite of her husband and daughter, and instead is reportedly very rude and acted nasty toward a number of agents. 'Hillary was very rude to agents, and she didn't appear to like law enforcement or the military,' former Secret Service agent Lloyd Bulman recalled to Kessler. 'She wouldn't go over and meet military people or police officers, as most protectees do. 'F— off,' is how she replied, according to Kessler's book. 'As soon as the cameras are gone, her angry personality, nastiness, and imperiousness become evident,' he wrote. Dec 30, 2015 - The driver, 45-year-old Bruce Danforth, died in the crash, which ... “They are jumping to blame the agents, politics, and Hillary Clinton,” Zakupowsky said. ... with Secret Service protection who was in New Hampshire Tuesday. .... series of reports by the Globe Spotlight Team about double-booked operations. WAKEFIELD, N.H. — Authorities say an unlicensed driver may have been attempting to pass another vehicle Tuesday when he crashed head-on into a car carrying four US Secret Service agents who were in the area to help protect Democratic presidential candidate Hillary Clinton. The driver, 45-year-old Bruce Danforth, died in the crash, which injured the four Secret Service agents and two of Danforth’s passengers. Investigators are seeking to verify a report that Danforth was trying to pass another vehicle driving north on the icy, hilly road. LOOK WHERE she wants to use it ... How many of these might be false flags? Clinton said cases like the June murders of black churchgoers in Charleston, South Carolina, should prompt "a legitimate discussion" about the death penalty. But she argued there are now "too many cases put into the capital offense category." In October, Clinton said she doesn't support abolishing the death penalty, but wants it reserved for "very limited and rare" cases. 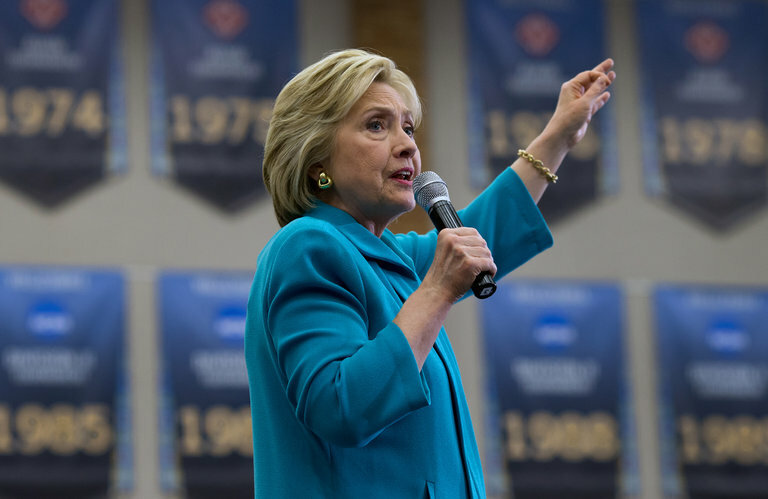 During the forum on Friday, Clinton said she was commenting on the federal death penalty system. She named Boston Marathon bomber Dzhokhar Tsarnaev, 9/11 mastermind Khalid Sheikh Mohammed and Oklahoma City bomber Timothy McVeigh -- people who committed what she called "really heinous crimes" -- as those who "should potentially have the death penalty." Clinton also doubled down on her earlier statements that the death penalty is often administered in a discriminatory way, and argued states should "take a really hard look" at their capital punishment laws, because some "have gone way too far." It will be a great chance for Loretta to demonstrate her character. Not to mention the experience she gained at Waco and Benghazi. remember that video with HRC laughing - that's how she thinks all the time. 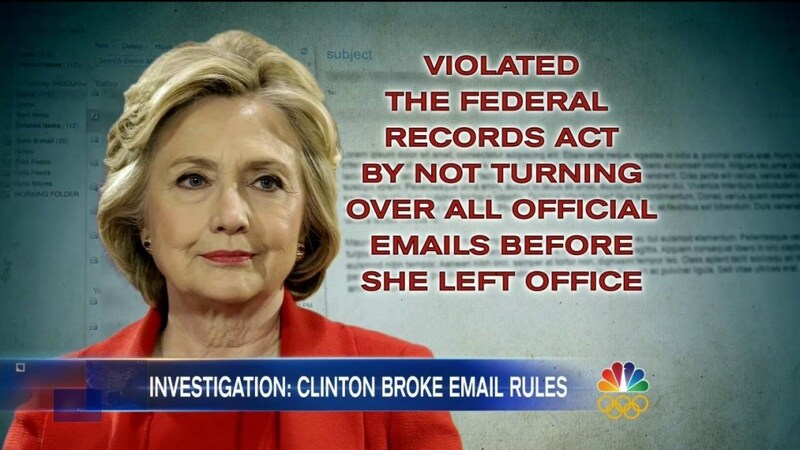 She Broke the Law - when does she withdraw (from the campaign race)? The topline of the highly critical report by the State Department's inspector general into Hillary Clinton's use of a private email server when she was secretary of state is that she "did not comply with the Department's policies." 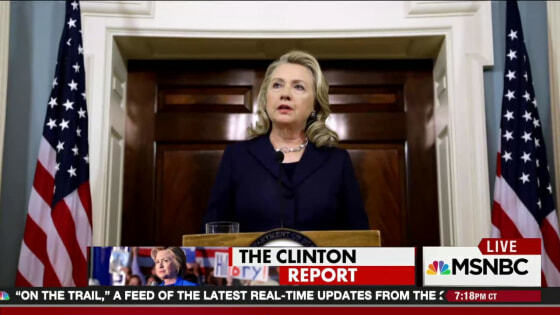 But what else does the report mean for Clinton — and for her presidential campaign? It's clear, however, that attempts were made to hack the server. In January 2011, non-government adviser providing technical support for Clinton's email system notified her deputy chief of staff, Huma Abedin, that he'd shut down the server because he believed "someone was trying to hack us," according to the report. Later that day, the adviser updated Abedin with the news that "we were attacked again so I shut [the server] down for a few min." The next day, according to the report, Abedin sent out a notice that staffers shouldn't email Clinton "anything sensitive." Four months later, according to the IG's report, two top staffers discussed — via email, it turns out — concerns voiced by Clinton herself that someone might be "hacking into her email." In another development Wednesday, a Romanian man known as "Guccifer" pleaded guilty in federal court to identity theft and unauthorized access to protected computers. It was Guccifer's hacking that revealed that Clinton used a private email address in the first place. In an earlier interview with NBC News, Guccifer claimed that he was able to breach the server and even download some files — a claim that federal investigators say they can't substantiate. The focus of the report is on the State Department's cybersecurity protocols in general, noting that the State Department's "longstanding, systemic weaknesses ... go well beyond the tenure of any one secretary of state." While Clinton is the star of the show, the report examines her four immediate predecessors' use of technology — and former Secretary of State Colin Powell also comes in for significant criticism for having used a private email address. But the report notes that rules and technological safeguards weren't nearly as advanced during Powell's term, from 2001 to 2005. 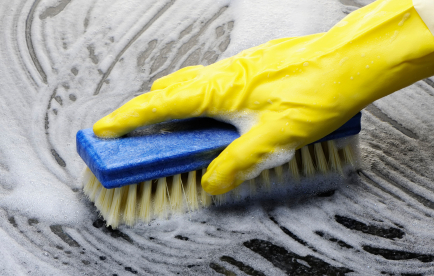 However, there are other inquiries that could hold the potential for prosecution. For example, the intelligence community's inspector general and the State Department's Bureau of Diplomatic Security are also looking into the matter. But it's the FBI that poses the biggest potential headache — it's conducting a criminal investigation into possible mishandling of classified information, the results of which the Justice Department could use to bring charges. ... Trump needed no prodding. At a rally Wednesday in Anaheim, California, Trump referred to Clinton as "crooked Hillary" and said the report made him even more eager "to run against Hillary." "She's as crooked as they come," Trump said. "She had a little bad news today, as you know, from some reports that came down — weren't so good. Not so good. The inspector general's report — not good." Cruisin' for a (legal) bruisin' ? Democratic presidential candidate Hillary Clinton doubled down on defending her email practices as Secretary of State, arguing that the use of a personal account was “allowed,” and rules have since been “clarified. Special privileges for a "special" lady? I know that a lot of Hillary Clinton supporters consider her use of a private server a nonissue, but I think it reflects traits that make her a poor selection for leader of the United States. First and most important, it demonstrates her utter lack of interest in working within rules and the law. It is as if she believed that she had the right to make her own rules with regard to security matters and that nobody was going to tell her how to operate, even those who were the experts on security matters. It demonstrates an arrogant autocracy that is breathtaking. This is not the kind of behavior one wants in a national leader. I hate to consider what she might do as president because she believes she has the right regardless of what others might think or prevailing norms. Second, this episode demonstrates her obsession with secrecy and a lack of transparency. It reminds me of when she headed the health care reform committee early in Bill Clinton’s administration. That committee was all about secrecy, and the result was failure. This report from the State Department’s inspector general is a warning shot for Americans about this woman. It is not too late to reject her candidacy for president, and Americans would be prudent to do that. With all the ink that has been spent (actually wasted) on trying to decipher Hillary Clinton’s character, the answer is much simpler and can be summarized in a few words: 1) arrogance (she thinks she doesn’t need to follow the rules); 2) stubbornness (vehemently refusing to come clean with the facts); and 3) poor judgment (the source of many of her misfortunes). In many ways this is reminiscent of Richard Nixon’s Watergate. We must OUT her, and get her OUT OF PUBLIC LIFE, permanently and forever. Two IT department employees of Hillary Clinton’s State Department were told not to talk about her private email server when both workers noticed it and raised concerns, according to an official Office of the Inspector General report. “Two staff in S/ES-IRM reported to OIG that, in late 2010, they each discussed their concerns about Secretary Clinton’s use of a personal email account in separate meetings with the then-Director of S/ES-IRM,” claims one section of the report. In one meeting, one staff member raised concerns that information sent and received on Secretary Clinton’s account could contain Federal records that needed to be preserved in order to satisfy Federal recordkeeping requirements. According to the staff member, the Director stated that the Secretary’s personal system had been reviewed and approved by Department legal staff and that the matter was not to be discussed any further. As previously noted, OIG found no evidence that staff in the Office of the Legal Adviser reviewed or approved Secretary Clinton’s personal system. ABOVE THE LAW, or below our standards ? Hillary Clinton struggled on Thursday to explain a mysterious email exchange — which was revealed in a damning State Department inspector general — that she appears to have never provided to the agency. The exchange occurred in Nov. 2010 between Clinton and her top aide, Huma Abedin. Abedin informed Clinton that some within the State Department were not receiving her emails, which were sent from a personal email address. “Can you explain what that sentence meant?” MSNBC’s Chuck Todd asked Clinton during an interview on Thursday. On Thursday, MSNBC’s “Morning Joe” co-host Mika Brzezinski said that it feels like Democratic presidential candidate former Secretary of State Hillary Clinton is “lying straight out” about her emails. The Judge : "It shows Intent"
"It seems likely she will be indicted"
Do you think these scvumfvcks are the least bit interested in the Truth? Wolf Blitzer grilled Donald Trump spokeswoman Katrina Pierson hard today over his doubts fueling the conspiracy theories that the Clintons had something to do with the death of Vince Foster. Why should anyone think its an issue? U.S. officials also said that if the hacker really did access Clinton emails, he would have publicly released them, as he did with the emails of his hacking victims. So maybe its just more a non issue because everyone already knows she is completely incompetent and puts world security at risk. 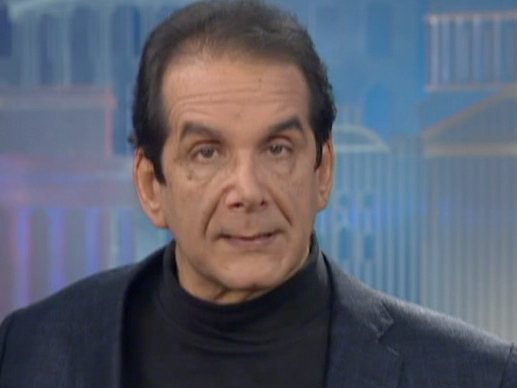 Krauthammer: "Not Enough Time" For Clintons To Wait Out Email Scandal, "Even With Word Games"
CHARLES KRAUTHAMMER: If you do any serious examination of the [state Dept. report], there is a half a dozen instances in which the campaign has either been deceptive or simply lying, but I think in the end the main fact is not the specific issue. Anecdotes only have an effect on candidates when they reinforce and existing conception, and with her and her husband, the pre-existing conception since the early 90s is they break the rules, live on the edge, they feel the rules don't apply to them, and then when they are caught they do word games... In the end they may confess, but only way after they have calculated that people don't care [anymore]. That's not going to be enough time for this to wear away. It is going to weigh on her. In the sense that she broke the rules, her own rules, this is her own department. It is an Obama nominee, you can't say this isn Ken Starr or the Republicans or some right wing conspiracy, this is their own people and that is why it is so damning. There is no escaping it, even with word games, it makes it worse.